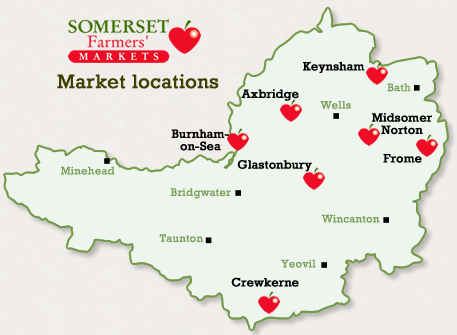 Somerset Farmers’ Markets has been organising farmers’ markets at locations in the county of Somerset for over 19 years! 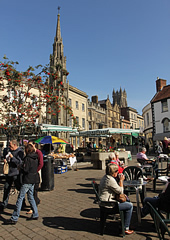 Markets are held in pretty market squares, vibrant high streets and an indoor market hall. Each market venue provides local communities and visitors with a wide variety of fresh, high quality, locally produced food. In addition, the markets provide a great point for local businesses to make new connections and find suppliers. We love Farmers’ Markets! As well as offering great tasting local produce from small, independent businesses, they provide a hub for the community to come together and bring to life High Streets and Market Squares. We have eight regular markets spread throughout the month.Explore our website to find out more about the market locations and market dates. If you are interested in selling your produce at a market, check out the ‘Sell With Us‘ page for more information. We rent out our canopies for outdoor events. Please check us out. Contact Louise Hall louise@somersetfarmersmarkets.co.uk, 01373 813812 to discuss Midsomer Norton, Keynsham or one of the Frome Farmers Markets. Contact Hannah Palmer hannah@somersetfarmersmarkets.co.uk, 07790716845 to discuss Axbridge, Burnham on Sea, Crewkerne or Glastonbury Farmers Markets.